The New Zealand version of the Discraft Ultra-Star. Great Quality ultimate disc for a very affordable price. 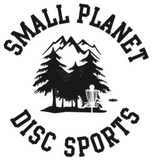 The NZ Ultimate Disc will be a great chice for Ultimate, Freestyle, Dog and Catch sports. Best frisbee I've bought so far. Makes me look good on the field without too much effort!